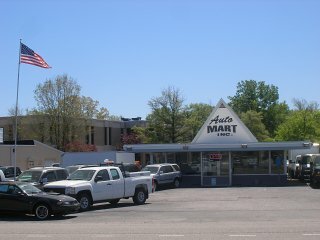 Auto Mart Inc is a family owned and operated dealership dedicated to providing you with quality Cars, Trucks, Vans, SUVs, Commercial Vehicles, Motorcycles and Classic Cars since 1994. We pride ourselves on our reputation, great customer service and delivering exceptional vehicles at affordable prices. Need Financing? We offer lender financing and In House Financing. Feel free to browse each of our lots inventory by clicking on the INVENTORY tab above. If you have any questions at all, give us a call, we will be more than happy to help you in anyway that we can. If you are looking for a particular vehicle, let us know, and we can find one for you. WE BUY CARS, WE ACCEPT TRADE INS, and WE FINANCE. Whatever your need may be, we are always here to help. ALL CARS COME WITH STANDARD WARRANTY. Call us today at 804-276-0090, email us at automartinc1@aol.com, or visit 7115 Hull St Rd Richmond VA 23235. We look forward to helping you with your automotive needs!